Enlight Videoleap is a video editing app getting you professional tools to boost your captivities. And it is the 2017 iPhone App of the Year in over 60 countries including South Africa, Germany, Hong Kong, South Korea, Austria, France and additional countries . Enlight Videoleap offers 3 options when it comes to paying money. I am sure you can get some of it even though you stay to use free tools. It has paid subscriptions,monthly and yearly, and if you do not want to pay for it every month, you can buy it at $69.99. View All By Lightricks Ltd. Shooting videos is easy, but, man, editing them can get complicated. That's why we can't get over Enlight Videoleap. It's a deceptively powerful video editor that feels intuitive and familiar. As with Enlight Photofox, Videoleap emphasizes a clean interface--it has a whole suite of tools that sit on a sliding toolbar below your video timeline. But don't be fooled by their small icons--these tools produce big changes for your videos. Here are the features you definitely don't want to miss. Videoleap's sleek interface is exceptionally easy to navigate. Tap on a freshly imported video clip to see the toolbar. If you're familiar with photo editors, you'll recognize a few of these options right away. Filters adds vibrant hues and effects, and Adjust tweaks everything from your clip's' exposure to contrast. As with photo editing, a little goes a long way. bold colors become even bolder with Enlight's hip filters. One of Videoleap's coolest features in the ability to overlay one video on top of another video (or image), then blend them with the Mixer tool. If you've ever tried double-exposure photography, you'll know this kind of editing can lead to wonderfully surreal imagery. Try starting with a video of a subject on an extremely under--or over--exposed background. Those are the photos where the background is as light or dark as possible. Then blend it with a static image, video of the ocean, or a clip of a city skyline. 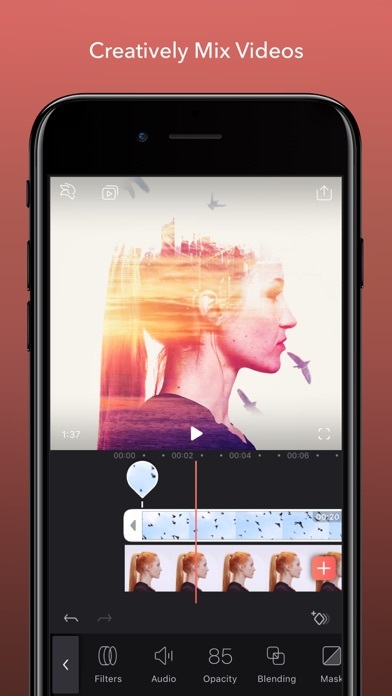 The app is perfect for stitching together that double-exposure video you've always wanted to make. We're not sure exactly what the Prism effect does, except that it '90-ifies our videos in the best way possible. The trippy filter looks best when your subject's in the foreground of a colorful and busy backdrop. No matter how you tweak and edit, Videoleap all but guarantees your videos will have a unique look. Have you noticed that there are more videos than ever in your social media feed? And it's not just a volume game; people are getting better at making them. Tools for creating high-quality videos were once only accessible to the pros. However, while simple video editors capable of making pretty clips are common, Enlight Videoleap is really a cut above. It's the latest app from Lightricks, makers of the easy-to-use photo editors Facetune and Enlight. Their new venture into video maintains the intuitive interface of their previous apps while packing in powerful video creation tools. 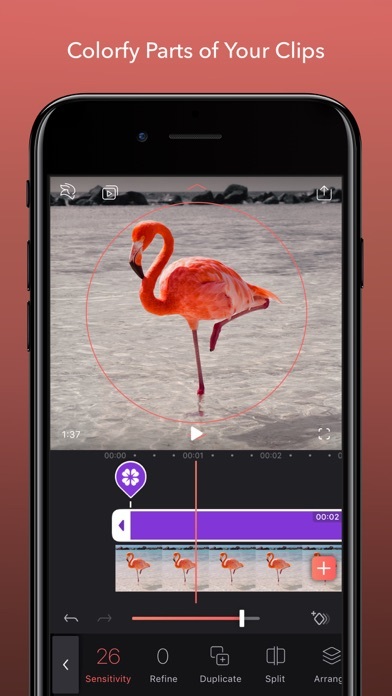 Enlight Videoleap is a snap to use for editing novices, too. Give any of your video clips a quick makeover with a filter, or go further and add blur, grain or prism effects. Intuitively designed, all of its tools and functions are easy to find. The preview window takes up most of the screen a big plus. The video timeline and toolbar are at the bottom, and each has a folding menu that hides away functions to preserve coveted screen space. 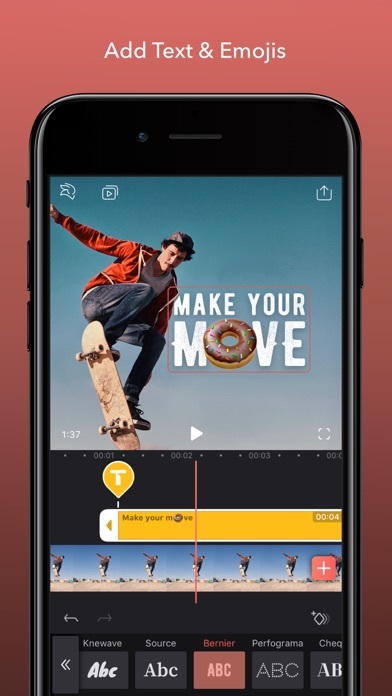 For more ambitious projects, the app stands out with its powerful capability to edit RAW footage, add transitions, and separately adjust effect parameters on every clip. 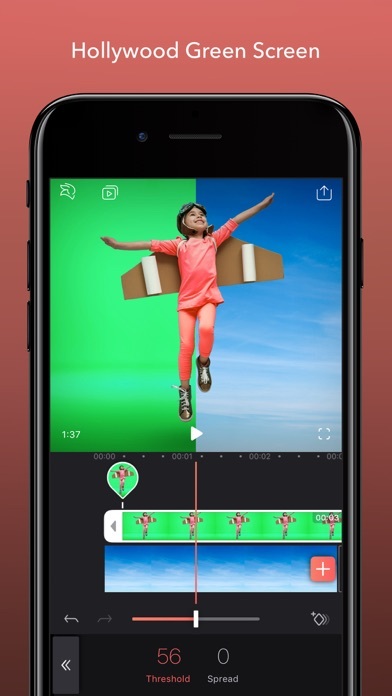 For more desktop-level capabilities, the app packs in keyframe animations, hue range, and a chroma key function that allows for green screen effects. Don't miss the double exposure tool that can mix two videos together for awesome, artistic results. It only takes a few taps to use. The app piles on even more power with layer-based editing, and it doesn't just apply to video and images. Filters, effects and adjustments can also serve as individual layers. Try adding a filter to a clip, or add a filter layer that you can apply to different parts of the video by dragging and adjusting the length. Innovations like these don't come often. That's what makes Enlight Videoleap such a pleasant surprise. 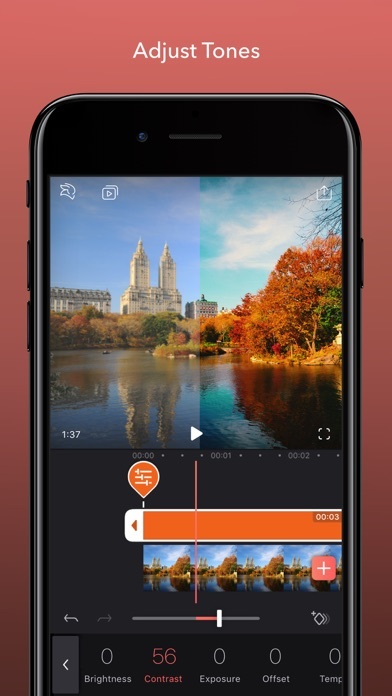 Whether you want to post a video for friends, make home movies, or shoot a short film, this app can do it all. They review distinct sites listing the strengths that novices can appreciate enjoying at those sites and for someone fresh, this information is important.